“Bold Moves” | Friday-Saturday, March 17-18, 8 p.m.; March 18, 2 p.m. Aronoff Center, downtown. 513-621-5219. This evening of contemporary dance features two very different works. “Minus 16” is by choreographer Ohad Naharin, artistic director of Israel’s Batsheva Dance Company. The critically acclaimed work is a collection of vignettes incorporating improvisation and “Gaga,” Naharin’s language of movement that challenges dancers to liberate themselves and explore new and inventive ways to use their bodies. Music ranges from Dean Martin to mambo, Israeli folk song and techno. “Cut to the Chase” is the seventh world premiere created for Cincinnati Ballet by resident choreographer Adam Hougland (“Mozart’s Requiem,” “Rite of Spring,” “Firebird”). The work will be accompanied by a live performance of Beethoven’s first string quartet – Opus 18, No. 1 – by CCM’s much vaunted ensemble-in-residence, the Ariel Quartet. Want to expose your young kids to ballet with a smaller, less intense dose of dance? Check out “Ballet Toybox: Swan Lake Jr.,” Sunday, March 19, 2 p.m.
“Looking for Langston” | Sunday, March 19, 2 p.m. The Mini Microcinema, 1329 Main St., Over-the-Rhine. 513-560-8366. This series explores the history of Black American film, in this case the complex, sometimes controversial life of legendary jazz poet Langston Hughes. “Rembrandt’s Fascination with Judaism” | Monday, March 20, 7 p.m. Hebrew Union College-Jewish Institute of Religion, Clifton. Dr. Shelley Perlove, professor emerita of the University of Michigan-Dearborn, specializes in Italian and Dutch art of the 17th century. Her lecture about the relationship between Rembrandt’s art and faith is in response to the Skirball’s current exhibit of 22 of the Dutch master’s etchings of Jewish and biblical subjects. 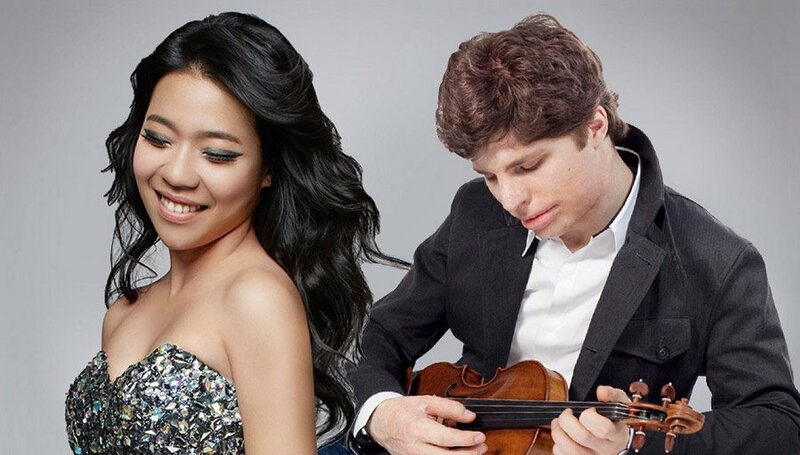 Augustin Hadelich, violin and Joyce Yang, piano | Monday, March 20, 7:30 p.m. Jarson-Kaplan Theater, Aronoff Center, downtown. 513-342-6870. Fresh on the heels of their new CD, the dynamic young duo of Hadelich and Yang offer a diverse program of Beethoven, Mozart, Tchaikovsky, Stravinsky and Brett Dean. 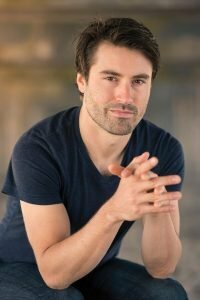 One of the leading violinists of his generation, the 32-year-old Hadelich won the 2016 Grammy Award for best instrumental solo. This is the multi-talented Yang’s third trip into Cincinnati since August, here showcasing her chamber music chops. This is a must-hear event. “Jelly Roll Morton Revisited” | Sunday, March 19, 2 p.m. First Unitarian Church, Mt. Auburn. 513-280-8181. CCJO pianist Phil DeGreg is joined by members of the Buffalo Ridge Jazz Band to explore music of this early jazz master. By contrast, on March 23, the CCJO Big Band dives into the music of Prince! Music director Christopher Eanes has assembled some of Cincinnati’s finest choral artists to tackle this 70-minute setting of the St. John Passion. Rather than the drama exuded by Bach in his passion settings, Pärt’s is a sound world of nearly static, starkly contemplative beauty. This is a work of spiritual meditation, so if you need to recover from a weekend of March Madness, this is the place to come. Audience members are free to move quietly around the sanctuary throughout the performance, helping to light candles, and experiencing with eyes, as well as ears. “Everybody Loves Opera” | Saturday, March 18, 8 p.m. Covenant First Presbyterian Church, downtown. The 2017 Constella Festival kicks off with two wildly different programs: The opening concert is a good old-fashioned recital of opera solos and duets, featuring the remarkable Jessica Rivera. The other concert, at the New Riff Distillery adjacent to Party Source, features a fascinating display of harnessed technology in service of music by keyboardist Dan Tepfer. Read more about these concerts and see the full festival line-up here. Jazz of the Month Club: Steve Schmidt Quartet | Saturday, March 18, 3-5 p.m. 800 Vine St., downtown. 513-369-6900. One of the city’s very best jazz pianists graces the library this weekend. Take a break from shopping, studying or chores and go hear Steve and his colleagues. You won’t be sorry. Also, make your Friday lunch break festive this week by attending the library’s “35th Annual St. Patrick’s Day Celebration of Song and Dance,” featuring Irish music by Dark Moll and performance by McGing Irish Dancers. 11:45 a.m.
Elise Hyder, mezzo-soprano; John Deaver, piano. “Songs for Love and Peace” | Wednesday, March 15, 12:15 p.m. 326 Madison Ave., Covington. 859-431-1786. “On the Town” | Friday, March 17, 6-10 p.m. 4722 Vine Street, St. Bernard. 513-620-4722. This relatively new gallery is managed by artist Amy Yosmali. These new works by local artists are inspired by the wide range of entertainment options in the Queen City. Runs through April 8. “Color + Rhythm” | March 17-June 25. 316 Pike St., downtown. 513-241-0343. This series of new paintings by Cincinnati Cedric Michael Cox is inspired by works in the Taft collection. 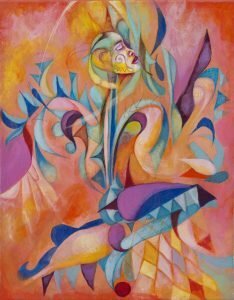 One of the most active and dynamic painters in the region, Cox’s abstract works are vivid and vibrant twists on the traditional. 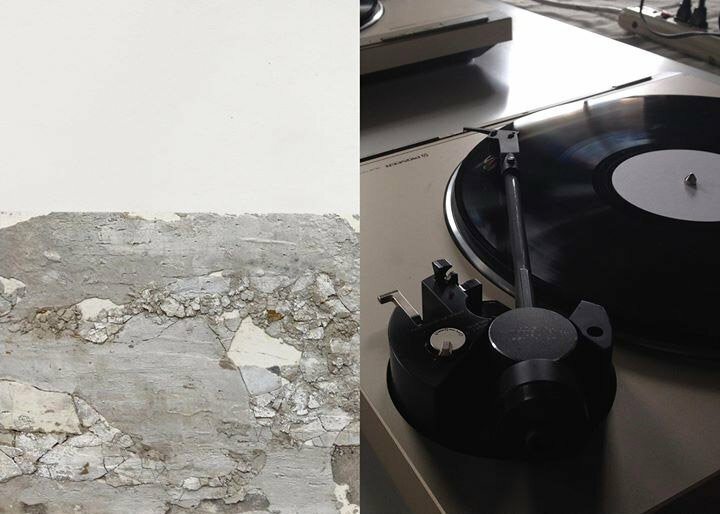 “Emergence: Works by Amber Stucke and Edina Tokodi” | Saturday, March 18, 6-9 p.m. 2940 Colerain Ave., Camp Washington. The works of New York-based Tokodi and Cincinnati’s Stucke explore organic growth systems and the human relationship to them through drawings, prints, and soil-based works. The exhibit attempts to shift our understanding of the border between nature and art. Runs through May 6. Works by Natalie Braun, Anne Donahue, Michaela Fettig and Lydia Reagan | March 17, 6-8 p.m. A. B. Cohen Center. This exhibit of student works features graphic design, prints, illustration and sculpture, and runs through March 31.